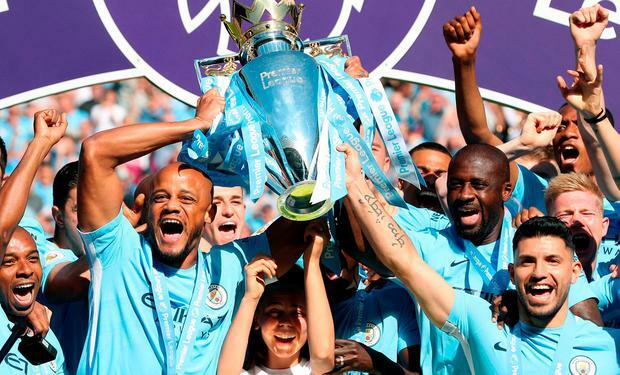 Comment: Manchester City have raised the bar for Premier League champions - but are they the best ever? It was after an extremely rare Manchester City low point in this season of exceptional highs, when Pep Guardiola was “driving himself up the wall” about how they got eliminated from the Champions League by Liverpool, that the players realised they now needed to do something to properly symbolise just how great they’d been. They have emphatically done that, and may yet go further. Breaking the goals record stands as testament to their claim as the Premier League’s greatest ever attacking team, while breaking the points record will stand as their primary achievement, what will instantly be brought up when their quality is recounted. They have overtaken Chelsea 2004-05 in more than one way. To claim the 100 points, then, would be the gold-standard feat to properly emboss their campaign in the way Arsenal’s undefeated league season was. As to whether City’s feat is superior to Arsenal’s and they are the Premier League’s greatest ever team full-stop… that’s a bit more complicated. Now that records have been broken and we’re in the realm of greatness, however, it’s an entirely fair and fun conversation to have. If the points record stands as their legacy, the question is then where City stand in this pantheon. Guardiola’s known angst about the European elimination does already indicate one argument. The teams that are really at the top are those that win the domestic league and Champions League. That is because they have proven their mettle across the main fronts, and across the two types of competition, while ultimately beating everyone in their way when it mattered most. Such sides showed the long-term sustainability to navigate that ultimate test of your true baseline quality in the round-robin of a league, but then also showed short-term ability to rise to sudden-death occasions in that ultimate test of your resolve in knock-outs. And sure, there might be a huge element of luck to the latter and things falling your way on a night, but withstanding that is a test of an ability in itself. This is why going so far on all fronts so stands out. This is why Liverpool 1976-77, Liverpool 1983-84, Manchester United 1998-99 and Manchester United 2007-08 should arguably still stand ahead - at least in terms of their achievement, if not necessarily aesthetics. One predictable response to this is that this is about the English champions alone, and what happens in the league should stand alone… except that’s just not realistic. The league does not stand alone. What happens in midweek in Europe deeply affects it. The bottom line is that managers and squads are going to be far less concerned with league records if they are still in with a chance of club football’s biggest prize. The Champions League will outweigh all. They might still all want the records, of course, but they just won’t devote as many resources - either in terms of personnel or energy or ideas - to it because they will want to stay as fresh as possible for Europe; for those big games. This is precisely why pretty much all of the points records and unbeaten seasons in the big countries - Barcelona 2012-13, Juventus 2013-14, Manchester City 2017-18, Arsenal 2003-04 and now maybe Barcelona 2017-18 - came in campaigns when those sides had not won the Champions League. They didn’t have that extra consideration complicating affairs. This, however, is one reason why City probably stand above Arsenal 2003-04 as well. If an unbeaten domestic campaign is your main claim to be the greatest - and, it should be qualified, none of this is to question the inherent greatness of any of these teams - it does dilute it slightly if you lost your biggest game of the campaign to a club from across your city. What’s more, after that, Arsenal’s feat became about avoiding defeat. City’s was different. It became about winning, about maximising, about going for it. This is why those 97 points - so far - arguably rank ahead of that unbeaten campaign. There are of course more caveats to this, and thereby greater complications to the debate. The ongoing economic stratification of the league is now greater than ever, meaning more and more of the quality is concentrated in that top six, and ensuring that those elite sides are effectively guaranteed a higher baseline of points than ever before. We’re no longer in a situation where the Premier League’s competitiveness means sides containing players of the equivalent standard of Juninho and Fabrizio Ravanelli will go down, as with Middlesbrough 1997. That’s why it’s also slightly difficult to compare points tallies across certain eras, and why just succeeding on the main fronts - as with the league and Champions League - is all the more impressive. Again, none of this is to say that any of this isn’t impressive. The bottom line is that all these sides are inherently great. City have just raised the top line for Premier League champions. It doesn’t necessarily mean they’re the best champions ever. The records are silver linings rather than the proper silverware of the Champions League. The real key, perhaps, is that such records show City are more than able to replicate those Liverpool and United feats. Then, given they already have this record, they really would stand apart.